From the author of Late Nite Catechism, it's "CSI: Bethlehem" in this holiday mystery extravaganza, as Sister takes on the mystery that has intrigued historians throughout the ages - whatever happened to the Magi's gold? ("We know that Mary used the frankincense and myrrh as a sort of potpourri—they were in a barn after all.") Retelling the story of the nativity, as only Sister can, this is one hilarious holiday production. Employing her own scientific tools, assisted by choir students from the Grand Traverse Area Catholic Schools, as well as a gaggle of audience members, Sister creates a living nativity unlike any you've ever seen. 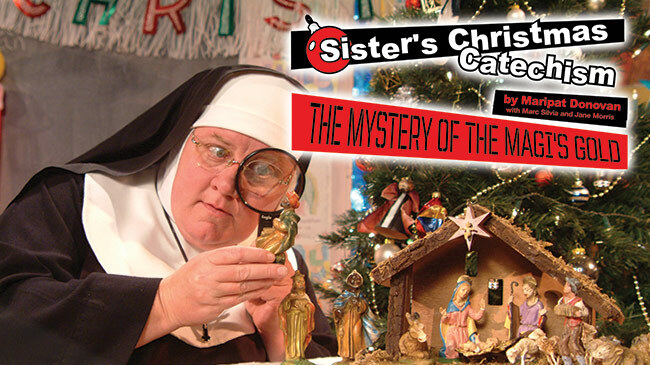 With gifts galore and bundles of laughs, Sister's Christmas Catechism: The Mystery of the Magi’s Gold is sure to add a little cheer to your holiday.